Who says car parks can't be breathtaking? Parking spaces, when left in the hands of clever architects and designers, become so much more than ugly blocks of concrete. Concrete slabs and cinder blocks are usually reserved for graffiti artists, not design teams. But emerystudio, inspired by the work of Swiss artist Felice Varini, turned a grey cavern into a colourful dream. In the right position, drivers can see distorted letters snap into alignment as the words ‘in’, ‘out’, ‘up’ and ‘down’. Simple, but super effective. You may recognise it from the Eminem film 8 Mile, but the history of Michigan Theatre goes way back. The grand Renaissance­ style theatre opened in 1926, on the site of a small garage where Henry Ford built his first car. It hasn’t been demolished, nor has it been restored. Instead, it’s now the site of one of America’s most breathtaking car parks. Image source: Flickr/ Copyright © 2011 Elliott Brown. All Rights Reserved. 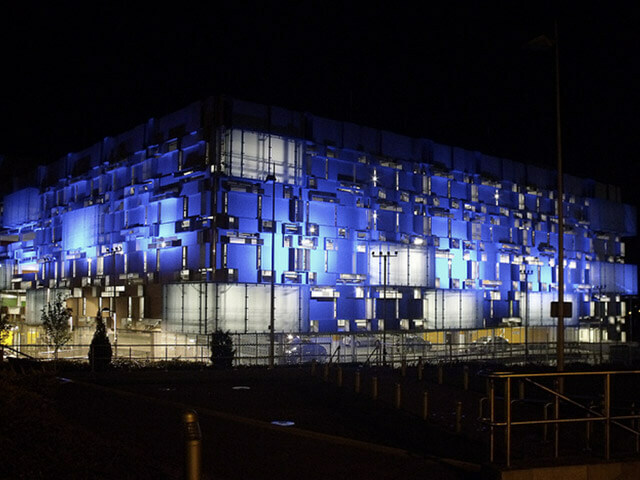 The award ­winning Millennium Point illuminates the Eastside area of Birmingham. It was one of the first structures built during the multi-­million pound regeneration of the area. Panels at varying angles glow with neon turquoise and vivid ultramarine, giving the carpark a striking ‘light cube’ effect. On London’s famous Oxford Street, this elaborate array of concrete diamonds was built in 1971 by department store Debenhams. Catch it while you can, the Brutalist-era building is reportedly being demolished to make way for a new hotel. 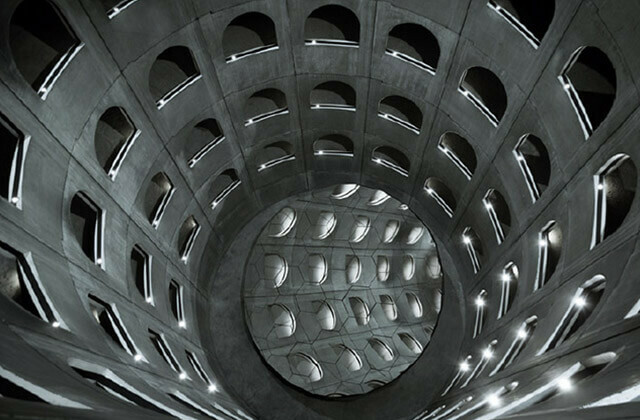 Looking like a film set from The Matrix, the fascinating Parc des Celestins car park sits below Place des Parc Des Célestins, which houses the Théâtre de Lyon. The distinctive cylindrical design was built between 1994­5. Its prize feature is the slowly rotating mirror at the bottom, which gives a kaleidoscopic light effect. There’s nothing boring about this Chicago car park. Built between 19846, the 12storey structure was designed by architects Tiger man McCurry. Complete with chrome plated grille, tyre style awnings and headlights, it’s reminiscent of something from a toy town. Image source: Flickr/ Copyright © 1996 Phillip Pessar. All rights reserved. Concrete? What concrete? 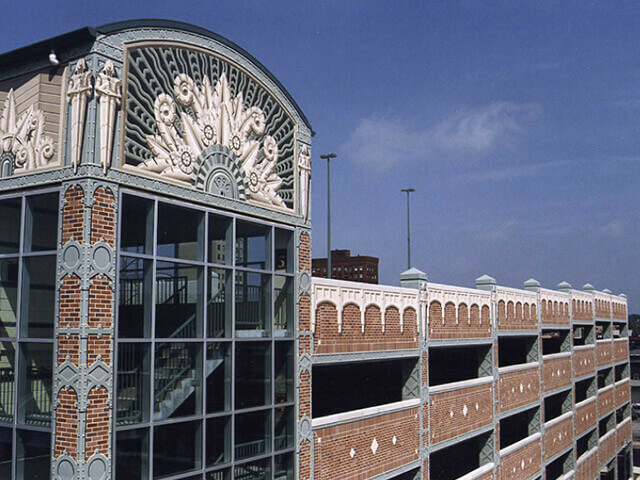 The Ballet Valet multi-storey car park was built in 1995 a joint venture between the city of Miami and developer Tony Goldman. 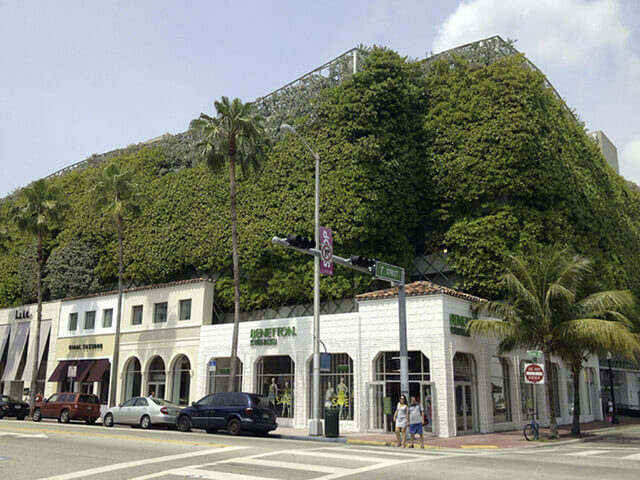 The use of lush greenery brings life to a dull block of concrete, blending it into the environment. Designed by Zaha Hadid Architects in the 1990s, Hoenheim Nord terminus & car park was created to encourage people to leave their cars outside the city and hop on a tram. The concept echoes the pace and energy of cars, trams, bicycles and pedestrians sharing the same space; with floor marks and light posts delineating a magnetic field. Another grey slab transformed into a work of art. And not just any work of art a mind blowing 3D illusion. The concrete exterior of Cornerstone Square multi-storey car park was given the Eric Grohe treatment: trompe l'oeil murals painted onto the sides of the five storey car park. 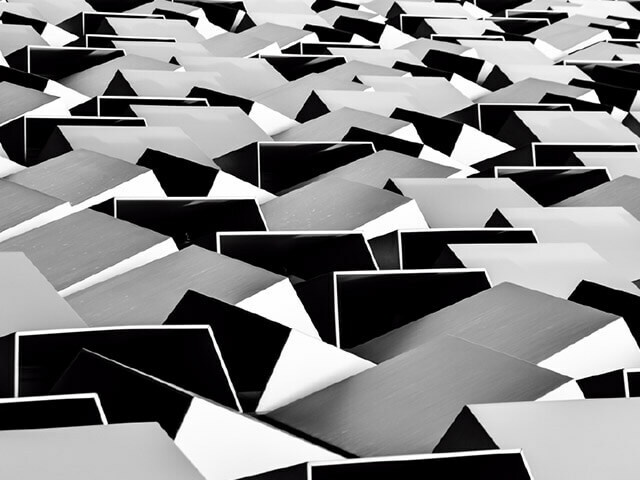 The Veranda car park is a sublime addition to Rotterdam’s famed futuristic architecture. The Paul de Ruiter team were given the challenge of solving parking problems in the Veranda strip. They needed to accommodate 630 cars, shops and restaurants within an urban landscape. The result? A naturally ventilated car park that oozes sophistication. With a striking angular exterior, it’s easy to see why Q-Park Charles Street is known to locals as the ‘cheesegrater’. The structure was designed by architects Allies and Morrison and features metallic panels jutting out at different angles. Inside, drivers take a spiral ramp up to the main parking floors, where panels reflect a green light into the building.